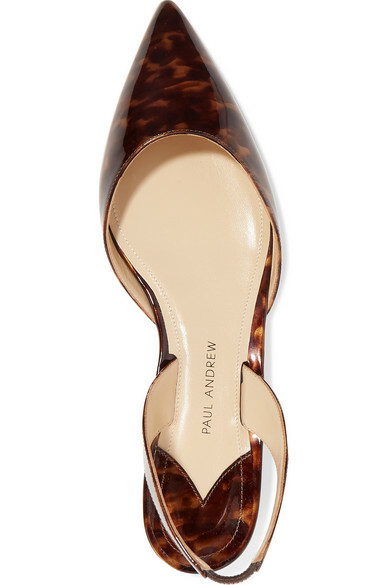 If you already love the black version of Paul Andrew's 'Rhea' flats, update them with this pair. 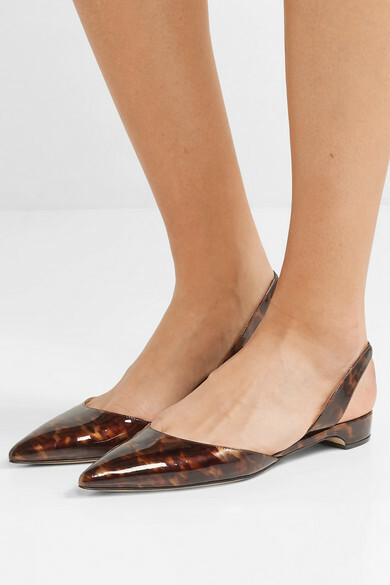 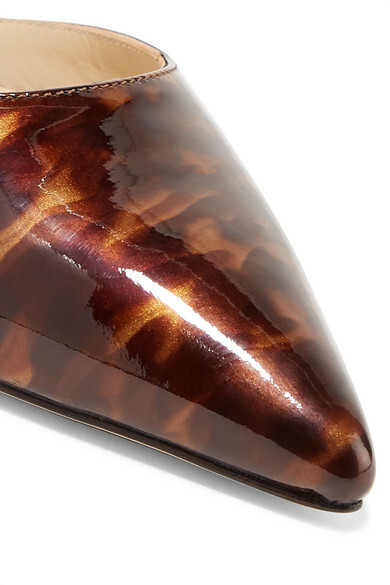 Made in Italy from glossy patent-leather, they're decorated with a cool tortoiseshell print that accentuates the pointed toe and have an elasticated slingback strap. 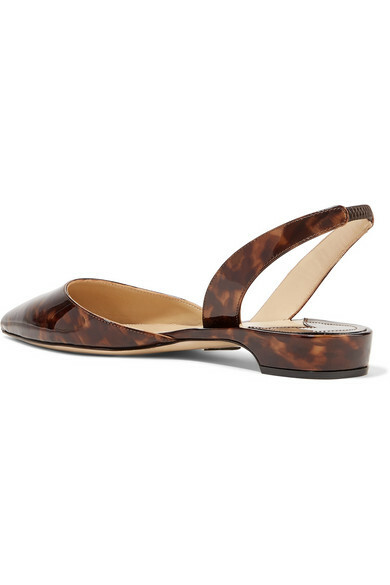 The subtle block heel and cushioned sole make them a comfortable choice, too. 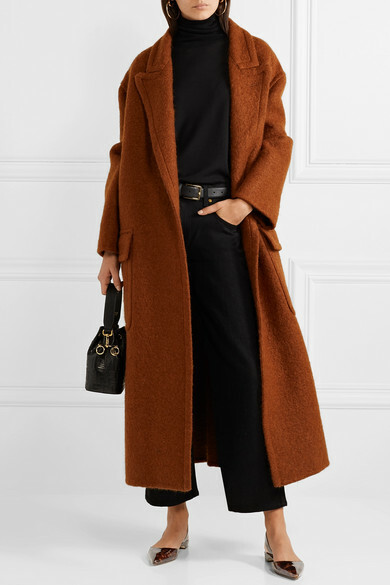 Shown here with: Khaite Jeans, Stella McCartney Sweater, Loewe Coat, Fendi Bucket bag, Chloé Earrings.